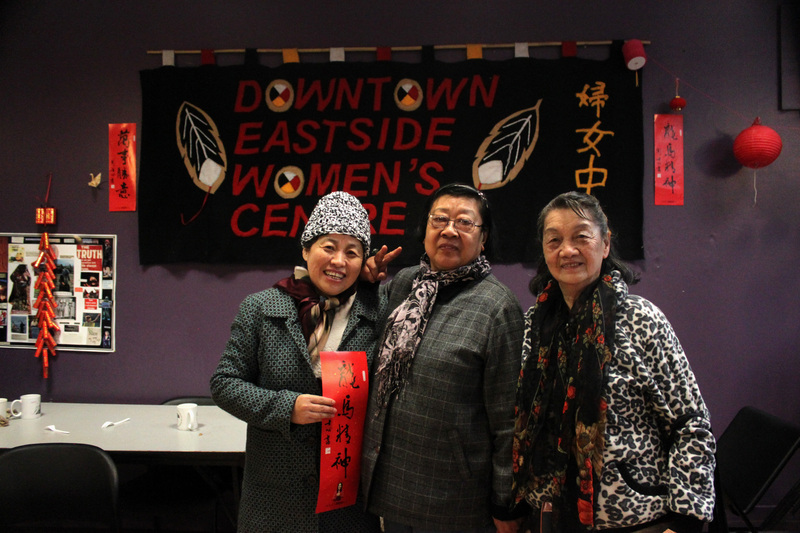 As the Lunar New Year approaches, we are celebrating the many Chinese seniors who are part of the Downtown Eastside Women’s Centre community. Today, we’re sharing an interview with long-time member Mrs. Lo. This interview was first released in our 2018 Spring Newsletter. Mrs. Lo is one of the many Chinese senior women who frequents the Downtown Eastside Women’s Centre. 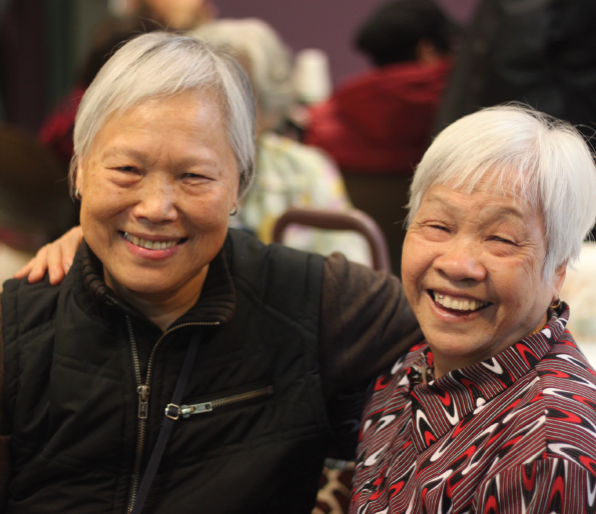 Many of the seniors live in Chinatown, which is located in close proximity to the Downtown Eastside, and face isolation, language barriers and housing uncertainty due to gentrification. Lunchtime at the DEWC is where the seniors connect with one another: a rare place to socialize freely, eat together, and access the resources they need. When did you arrive here, and how did you find the Centre? I came to Vancouver around 1970 from a town near Guangzhou, with my husband and three children. My sister-in-law was able to sponsor us and pay the immigration fee. When I arrived, three blankets were the only things I had. I couldn’t speak any English. I walked everywhere, but when my shoes broke, I couldn’t afford to buy new ones. I worked in kitchens and car washes to support myself and my family. I met the Chinese Seniors Worker [at that time] at the community kitchen she ran in the neighbourhood. She was very kind and gentle. She told us about the Women’s Centre. What does the Centre mean to you? I come here everyday. It’s a place to gather, a happy place. We can meet and speak [in our own language], and it feels like a family. I really appreciate the food and resources. I don’t work anymore and get OAS (Old Age Assistance), but it’s not enough to live on. Here, we have food, and can get what we need, as well for other seniors who can’t come to the Centre. I have a friend who I’m supporting who is older than I am, and who is no longer mobile. She fell down the stairs in her apartment, and because of her age, still has not recovered. I help her buy groceries and run errands, make sure she has the necessities. We take care of each other. I’ve been coming here for more than six years. I have seven grandchildren now, and they’re all happy that I have a place like this! Did you know this part of our herstory? 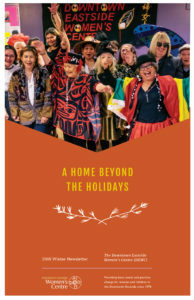 Chinese women were instrumental in forming community in the early days of the Downtown Eastside Women’s Centre, with translation and outreach part of the DEWC mandate. Many of the women were immigrants to the area or their descendants, working class labourers burdened by racist and exclusionary policies, poverty, and cultural alienation. 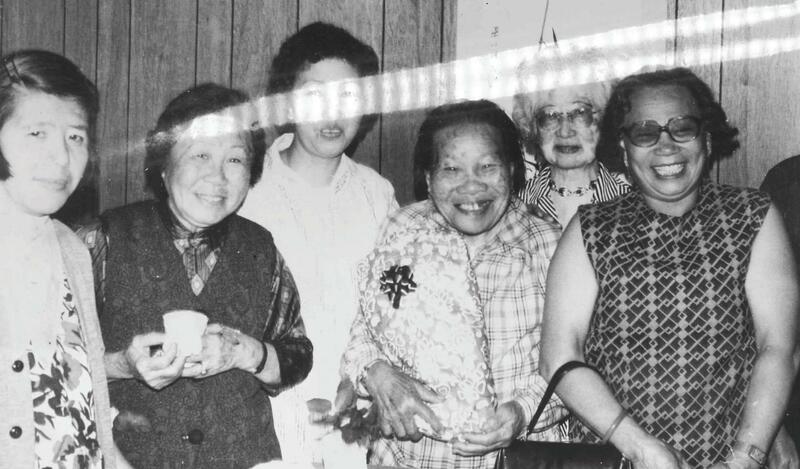 DEWC became a place of aid and assistance, as well as kinship – not only with other Chinese women, but a place to form friendships across cultural and racial lines. Today, the legacy of intercultural sisterhood is still visible in the Centre: the hand-stitched sign hanging on the wall, made by one of the Indigenous Elders, includes Chinese characters.